There’s no stopping progress, even in the beauty world! Discover three accessories that will help make your daily life easier. A multi-functional tool that soothes puffiness around the eyes, reduces dark circles and corrects the signs of aging. A perfect way to brighten your look. It massages your skin with micro-vibrations while emitting heat and light waves. Circulation of your small blood vessels is activated, your pores are better able to absorb skin care products and your skin gains tone and elasticity. Anyone who wants a quick fix for swollen eyelids in the morning and signs of fatigue or aging. Turn on the device after having applied your eye-care product. It will glow with a blue light. For a draining massage, move the tip from the inner corners to the outer corners of your eyes for 30 seconds each. A second press on the start / stop button activates heat and a red light, which stimulate cell activity and relax muscles. It works quickly: you can give yourself a complete treatment in just two minutes. Your secret weapon for a quick fix! The synergic alliance of massages by micro-vibrations, heat stimulation, and targeted luminous emissions for brightened eyes. A reusable silicone sponge that won’t harbour bacteria because it’s non-porous and non-absorbent. Because it’s waterproof, it helps you apply products with a traceless, uniform finish. Apply a small amount of your product (you’ll need less than usual) to your hand, your face or the sponge. Then dab the product onto your face with light, circular movements. It’s versatile! Whether it’s for your foundation, blush or concealer, there are lots of reasons to use one. The new darling of influencers and stars! Instagram is full of photos of this tool borrowed from ancient Chinese beauty traditions. The larger of the two heads is for massaging your face, the smaller one is for your eye area. 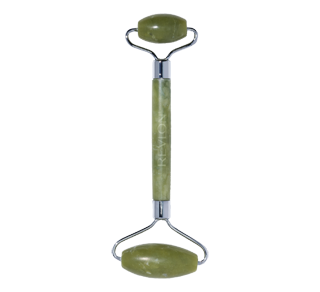 It stimulates blood circulation while toning and improving the elasticity of your skin. In short, it creates a beautiful glow! For individuals who want to add to their skin care routine (and follow in the footsteps of Alicia Keys or Meghan Markle). Take five to ten minutes in the morning or evening to roll it over your entire face, from bottom to top, and then from the centre outward. Be sure to maintain a light, even pressure. Its non-invasive action is suitable for all skin types, even the most sensitive. Accessories that gently cut the fine facial down on temples, cheeks and the upper lip. Hair removal makes your skin softer, improves the absorption of skin care products and facilitates makeup application. And rest assured, these accessories are safe to use: micro-trellises covering the blades prevent cuts. For those who want to get rid of pervasive hair without having to resort to abrasive products that can damage the delicate skin on your face. Nothing could be simpler: use them on clean, dry skin in small downward movements, taking care to not get too close to your eyes. They’re so easy to use! 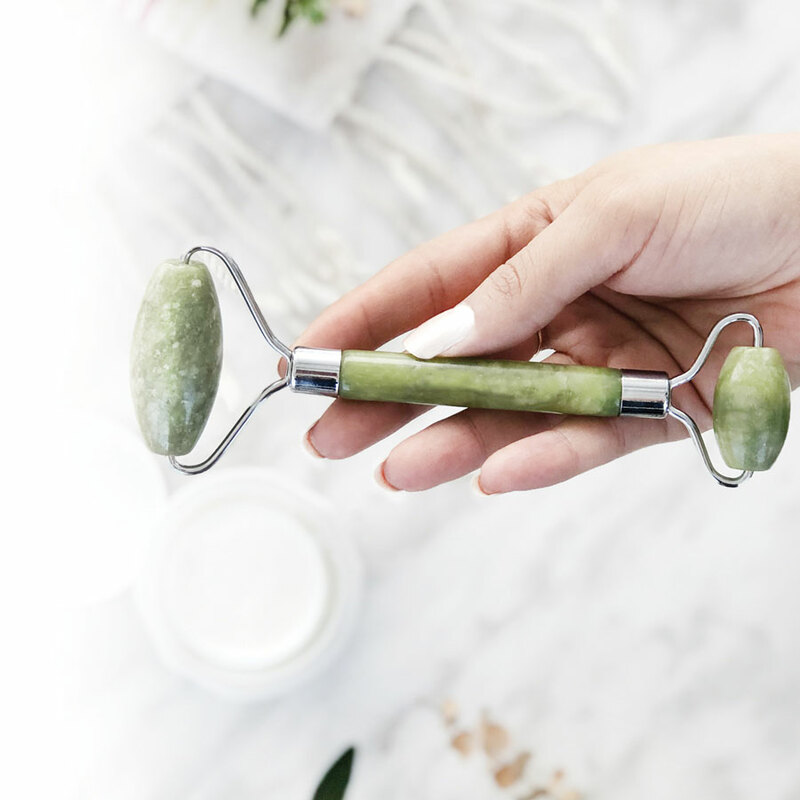 Based on clinically proven technology used in dermatology practices, this device is designed to reduce acne and promote healing: the perfect solution to treat localized blemishes without drying or burning your skin! The LED device is designed to target pimples precisely. Blue light kills acne-causing bacteria, while red light reduces inflammation. For individuals with acne-prone skin whose condition is not extremely serious. Note: the device is not recommended for pregnant or lactating women. Treat each blemish for two 2 minutes, three times per day. Its compact size fits well in travel and gym bags and is easily transported without making a mess. Harness the power of light therapy to target and treat mild to moderate acne breakouts. 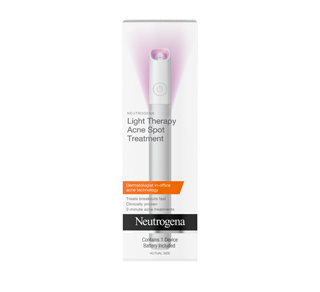 The Neutrogena light therapy acne spot treatment uses red and blue light to reduce the appearance of breakouts without flaking or burning.